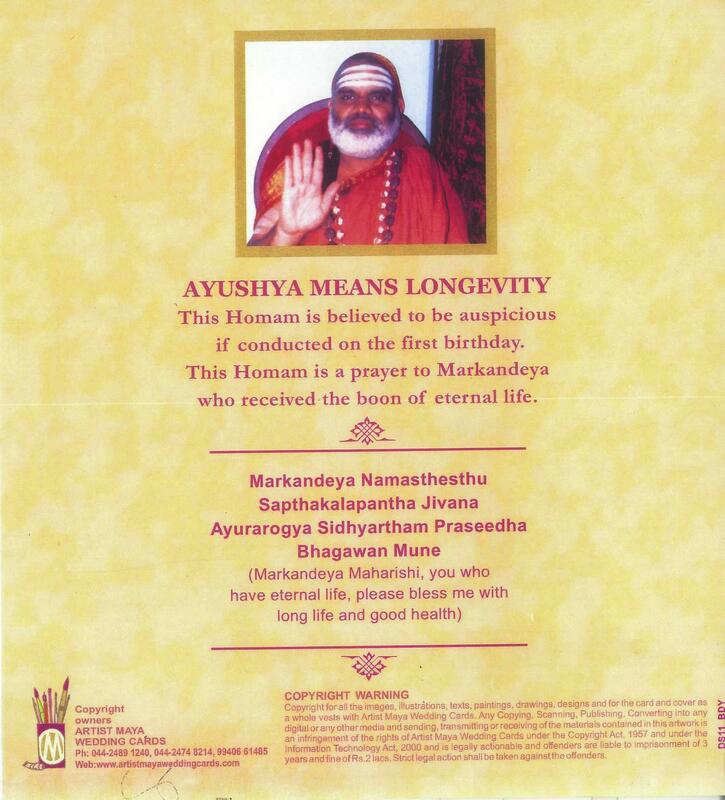 Adhruth’s Ayushomam (First Star Birthday) was on 23rd, in our House in Bangalore. 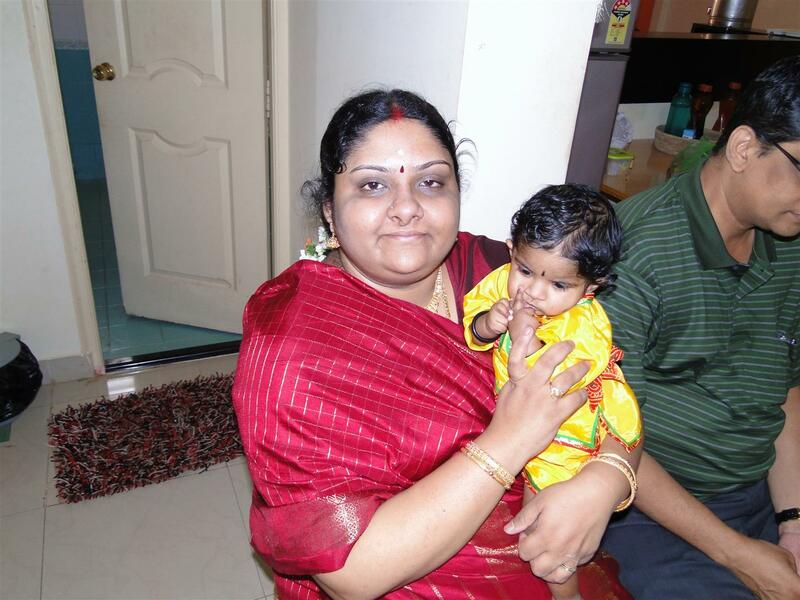 Initially plan was to celebrate it in Chennai, but due to climatic changes, travel and most importantly Adhruth’s health, we decided to have it in Bangalore. 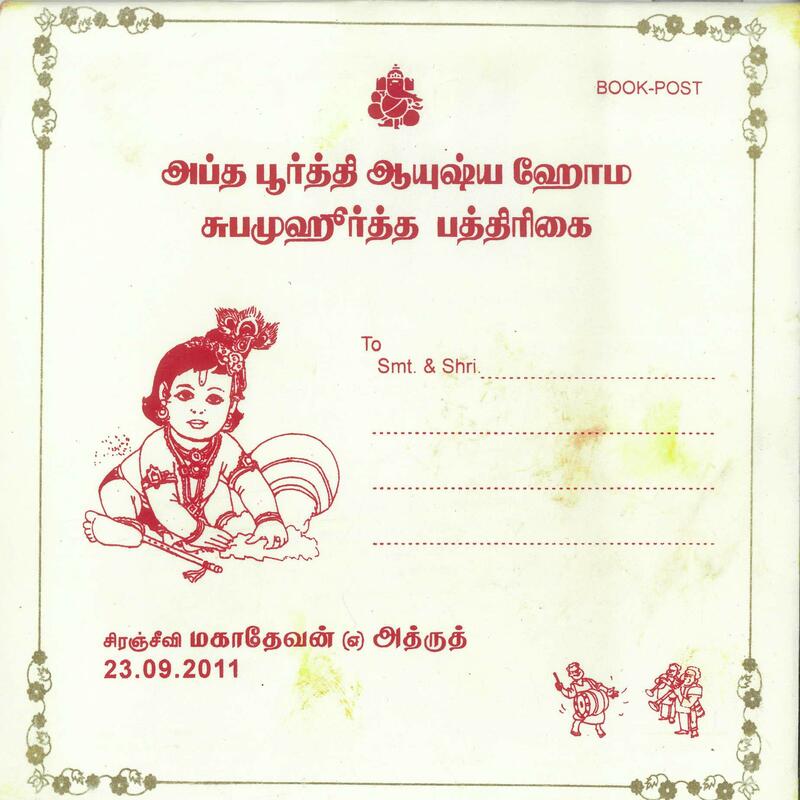 The fun started a month in advance in starting the preparation with Invitation Card printing. 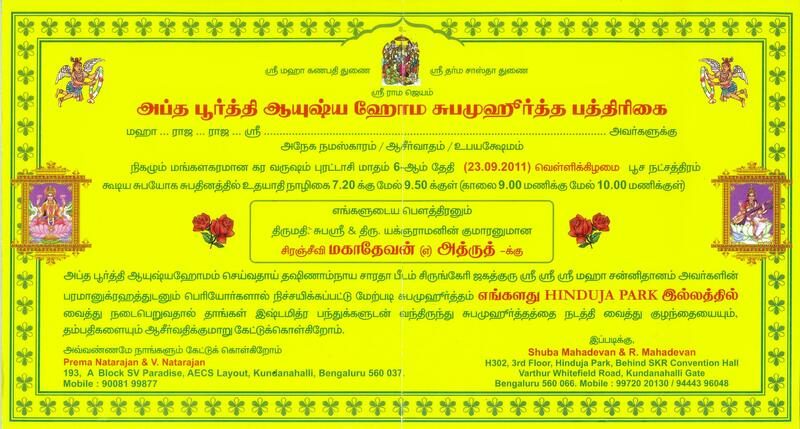 We decided to go with Artist Maya Cards (the same one we had for our wedding) as that explained what is “Ayushomam” with a mix of traditional yellow invitation in Tamil and also English invitation. Finalization of Catering, menu for breakfast & lunch, booking of Club House for serving food, Booking tables for food, dresses for Adhruth – all were completed a week in advance. The most important week arrived. 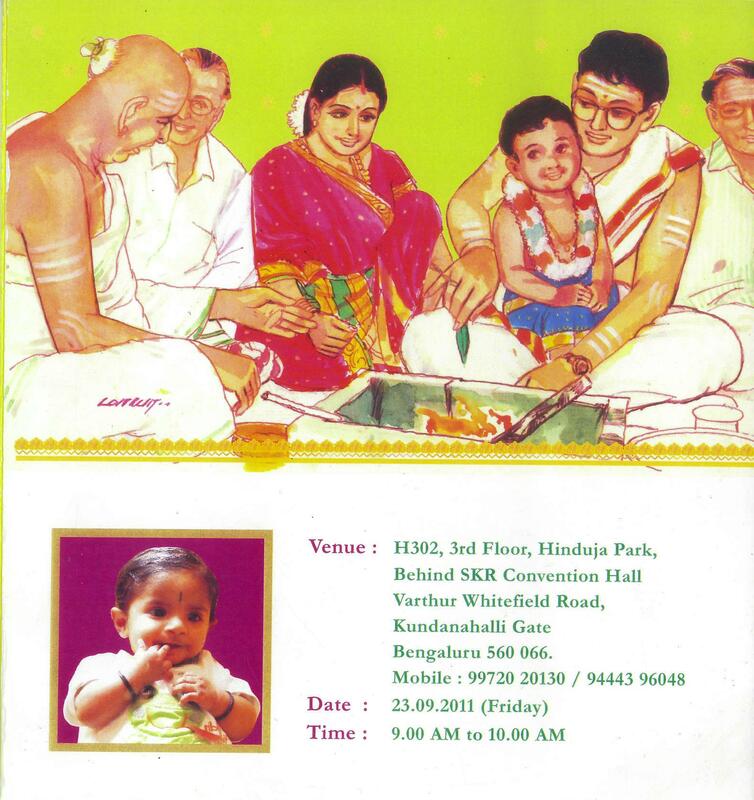 My Appa, Amma & Athai (from Chennai) came to Bangalore a day in advance. 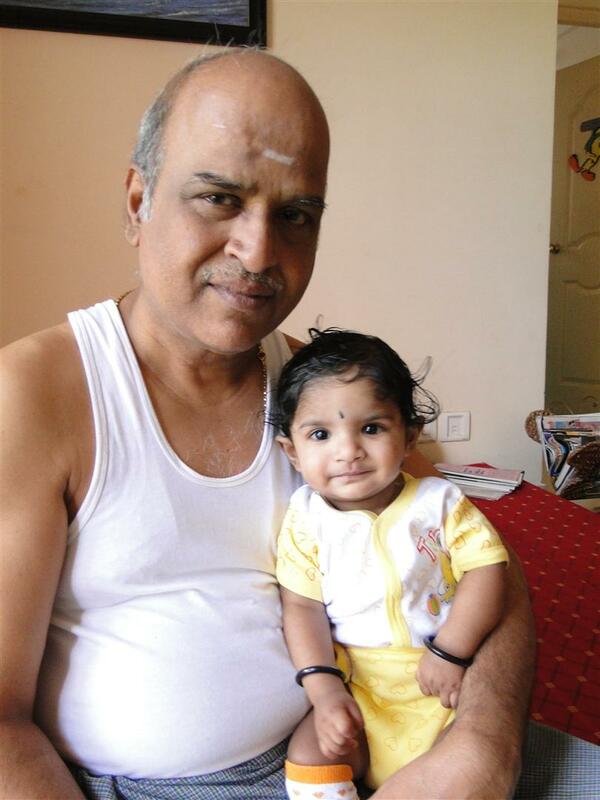 Kali uncle (who had captured all the precious moments in our life with his Camera) came from Chennai the previous afternoon. 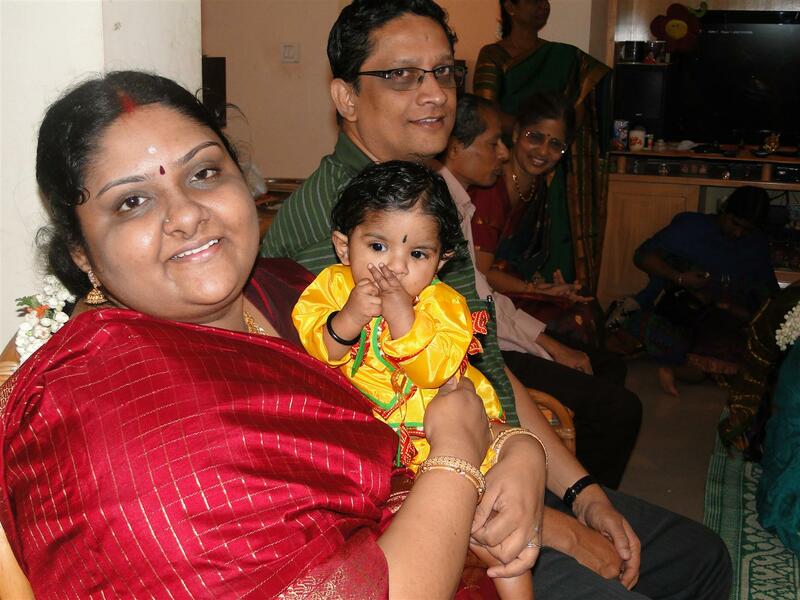 Karthik & Vaishnavi came in the night. Appa & I went to buy basic things like Flowers, Fruits, Vethalai etc. 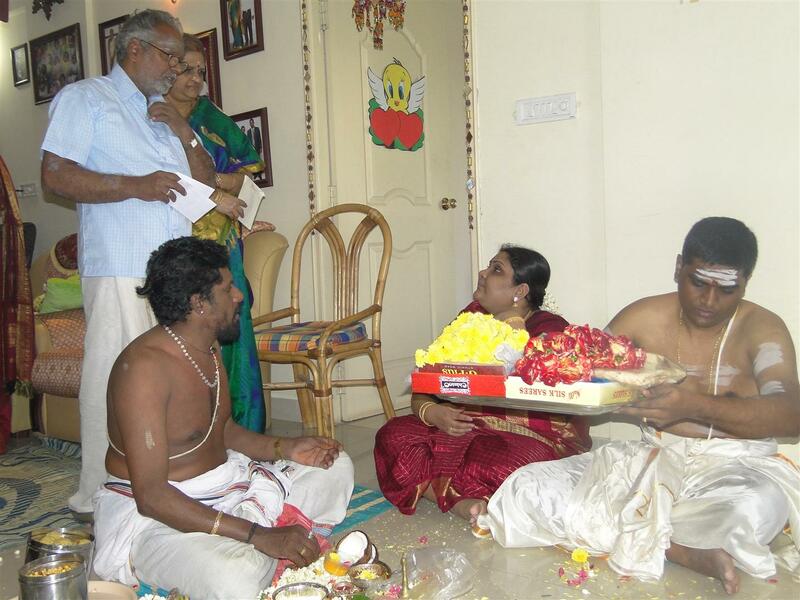 We also had to buy a Malai (garland) for Adhruth. We decided not to get a typical garland, but instead make a garland out of normal flowers. That seemed more appropriate. Yes. 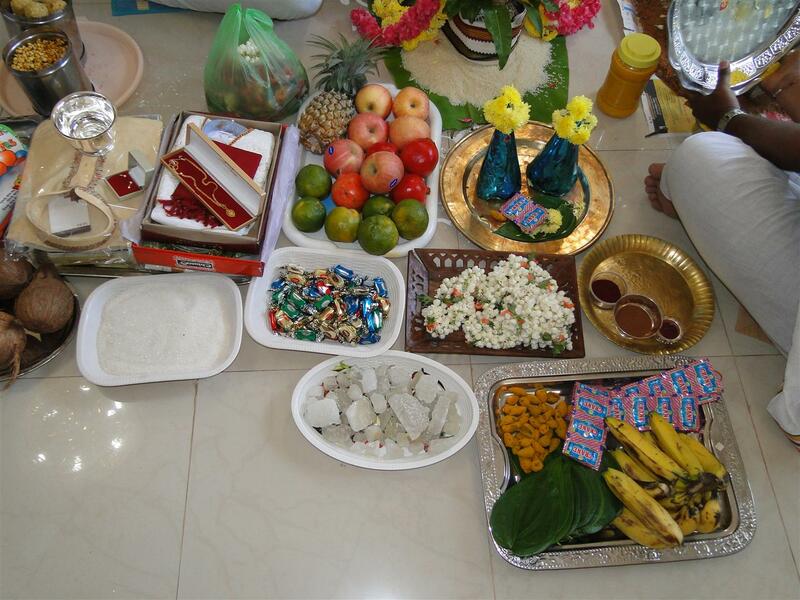 Everything setup for the Ayushomam. 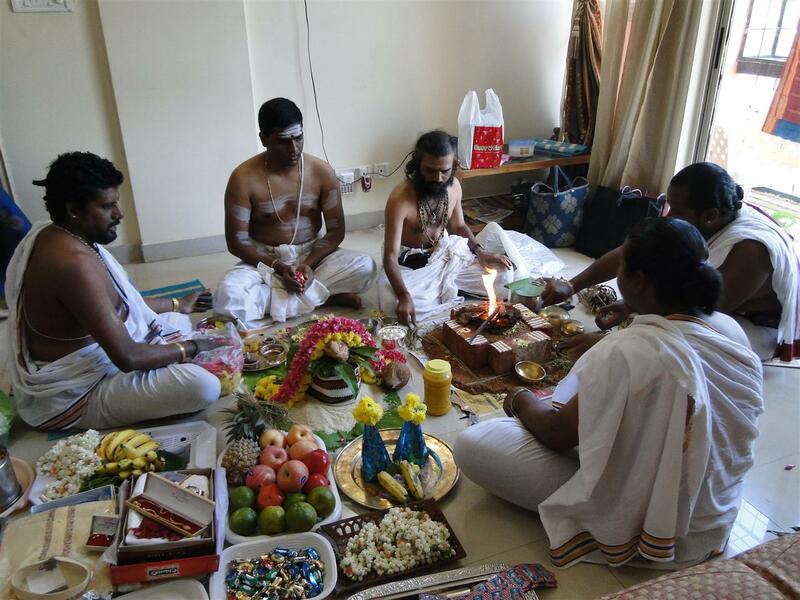 House rearranged and things in the hall shifted to adjacent rooms for the Homam. Adhruth was the first to get ready after a bath. Function was to start at 9. Breakfast started on time at 7.30. Vada was good :-). 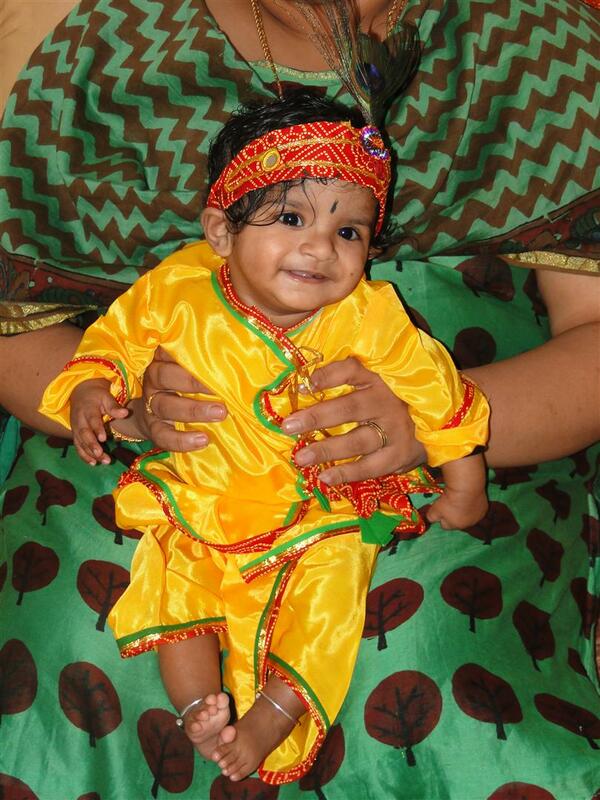 Adhruth was dressed in a Krishnar dress and was the star attraction. 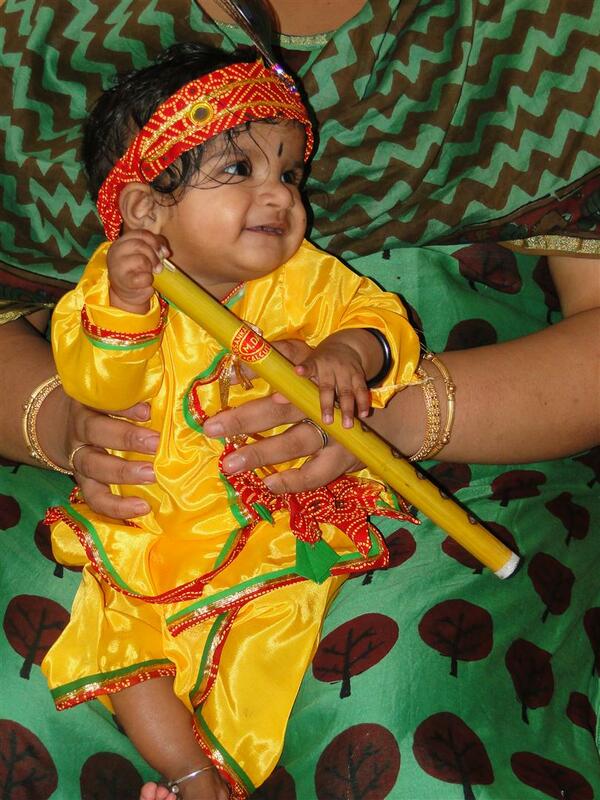 He went to everyone who had come for the function with a smile on his face. Though he did not have Stranger face, he realized when he was with Madhu & me. 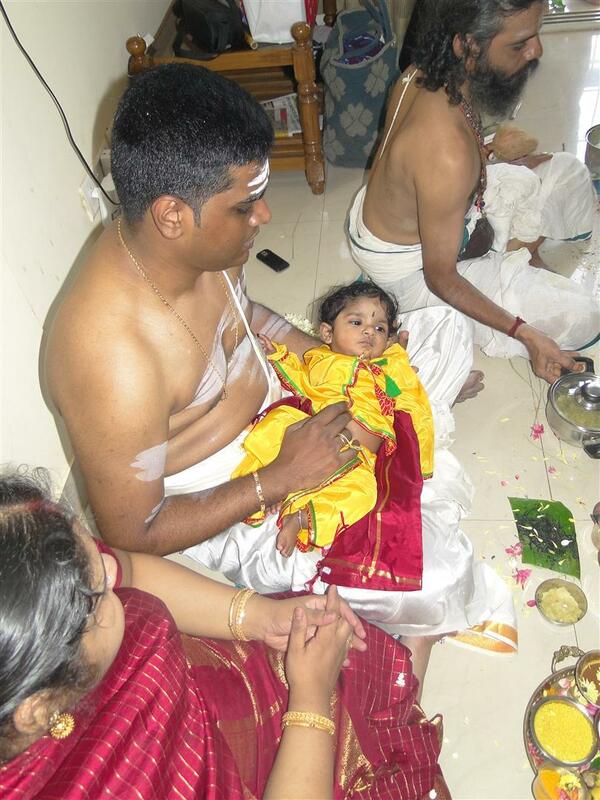 Adhruth slept during pooja (relaxing so that he can be active when he has to come). 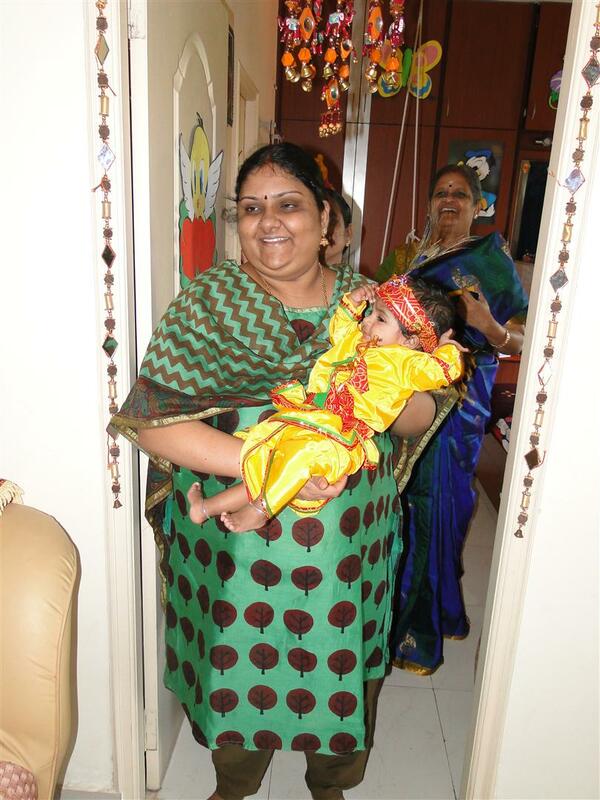 Adhruth’s mama had come and wore the Malai and took him to the entrance of the house to get him in. 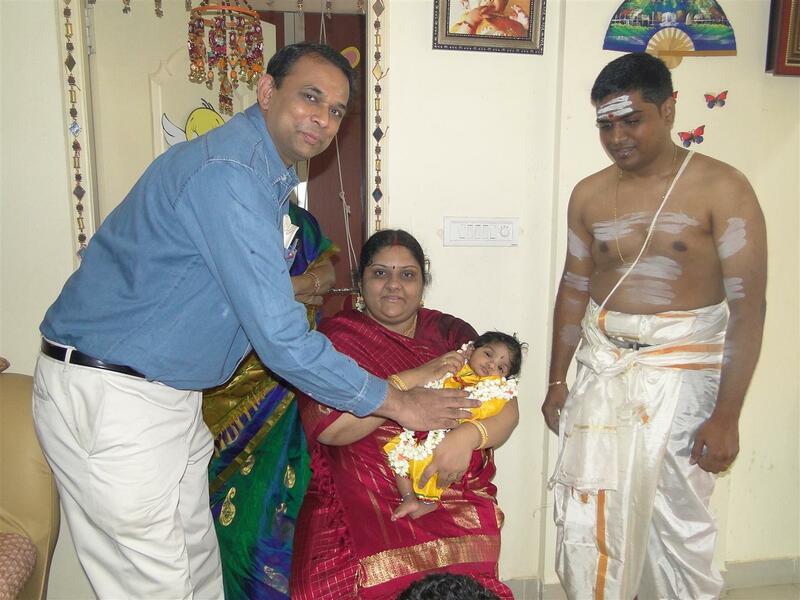 Annpraschanam was done after that where I fed Adhruth with Sakkara Pongal (without ghee). He had just woken up from Sleep but still was very cool & full of smiles and laughs. 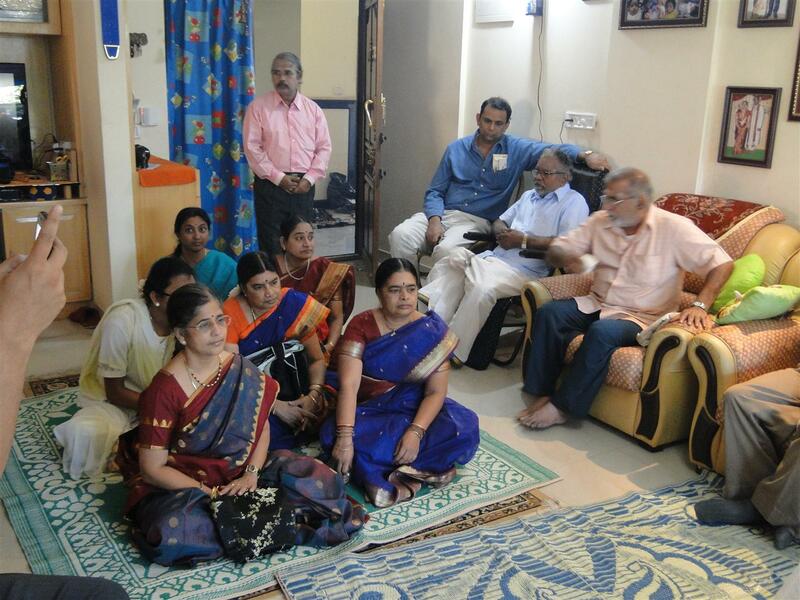 Usually he enjoys company of more people around him and he also did the same during the function. 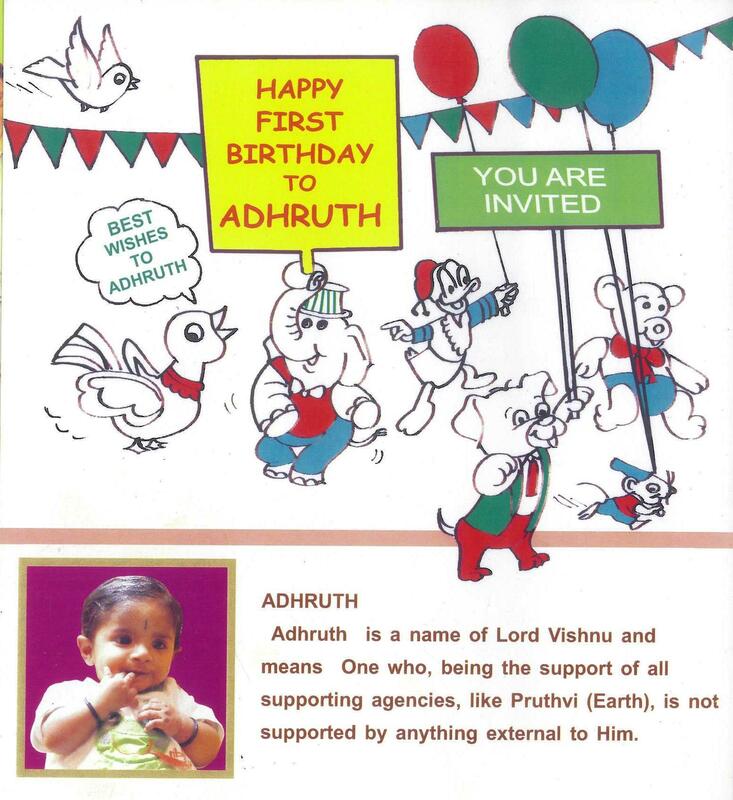 It was fun watching Adhruth play and enjoy with everyone around him. 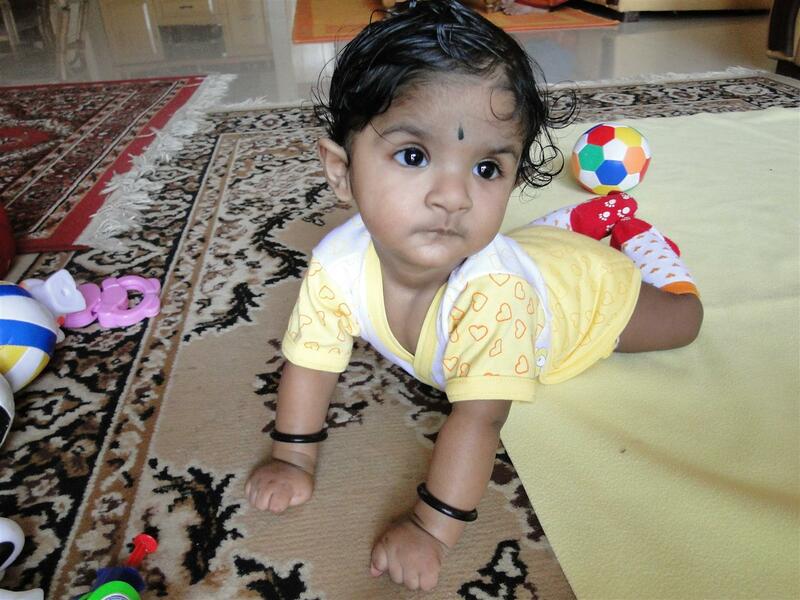 Most important things for Adhruth – lots of new toys and games for him to play :-). Thanks for everyone who had come to make it a most memorable day for us. 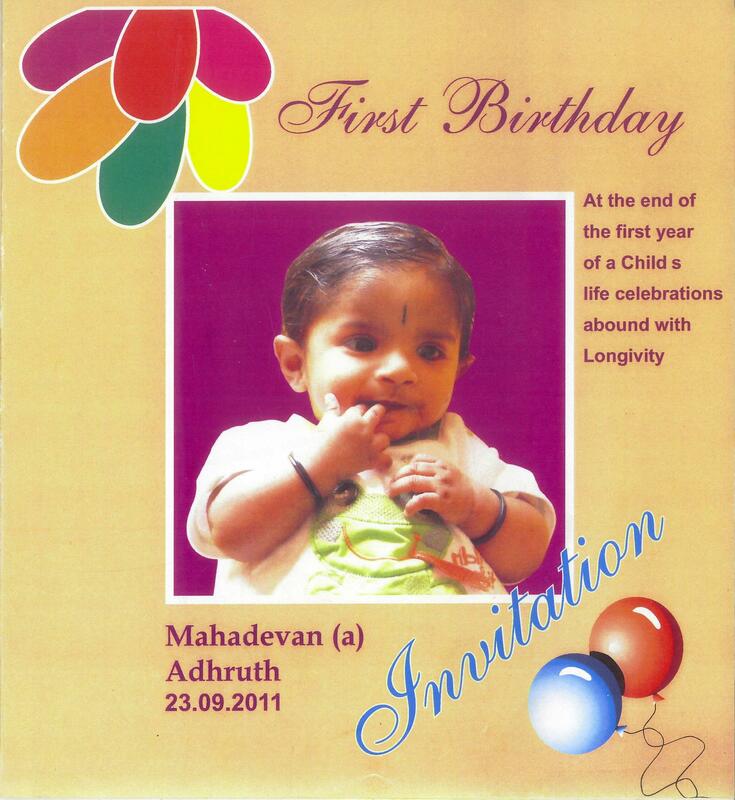 It was also little emotional for me and Madhu as we were celebrating the first birthday of our beloved cutie – Adhruth – looking back the last one year we have traveled has been a great experience. 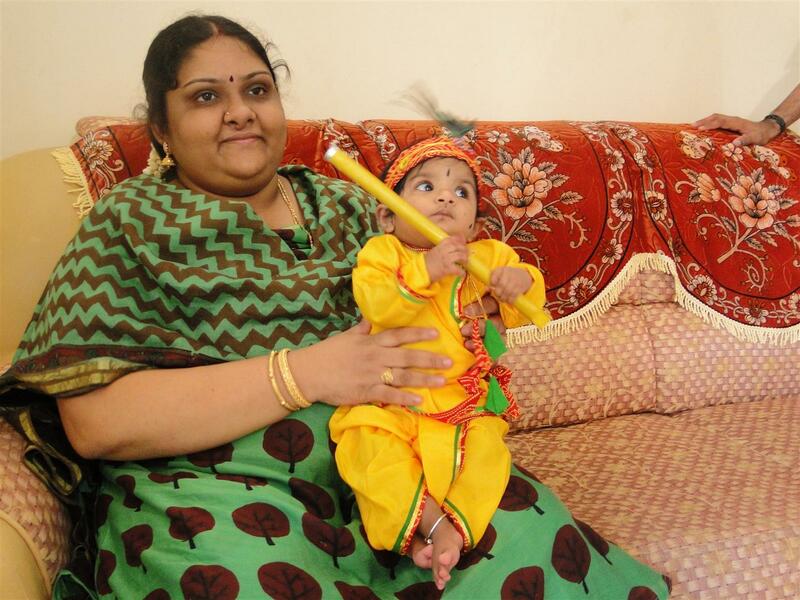 Kutti Krishnar enjoying…but where is his Flute?? 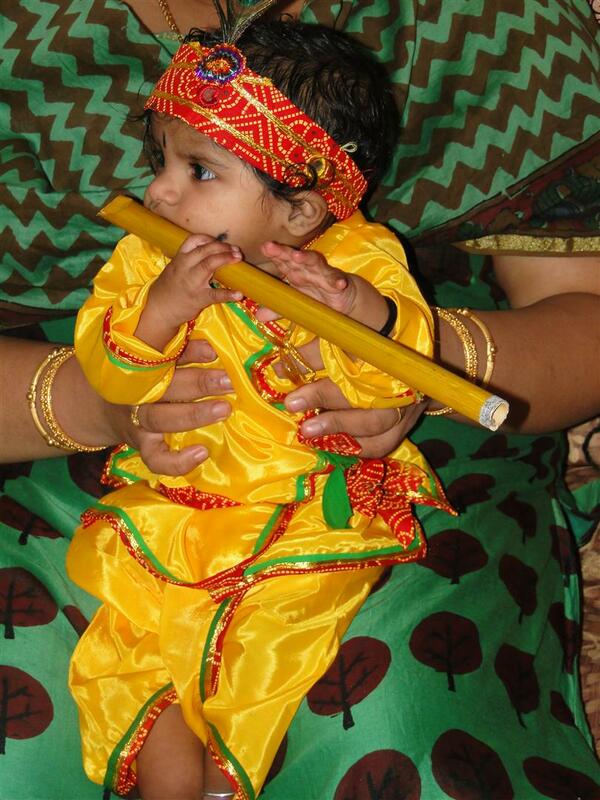 Here come the flute. But how to use??? 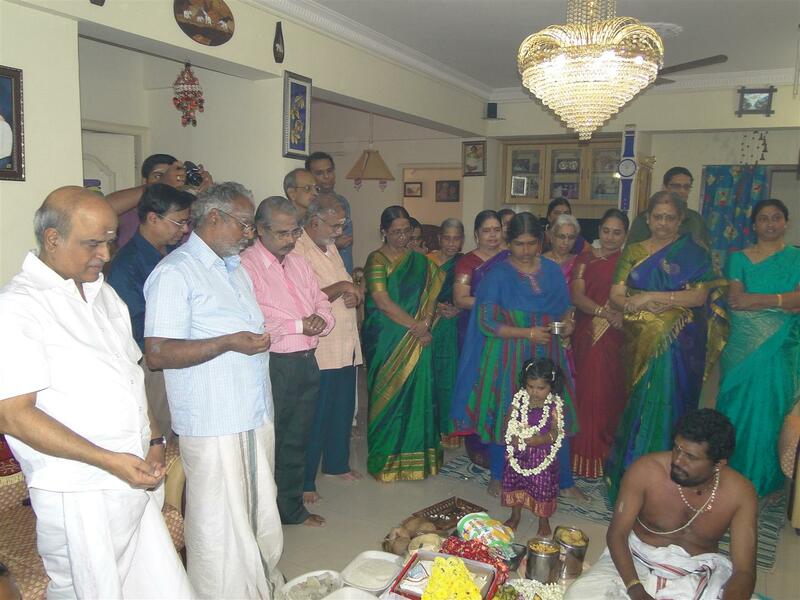 Lovely to see entire family gathering for the Pooja! !